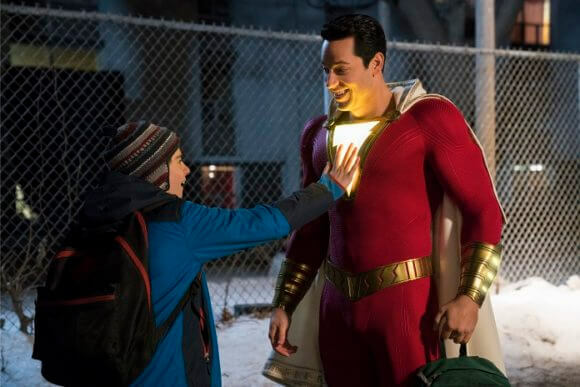 The anticipated battle between comic book-inspired films Shazam! starring Zachary Levi and Hellboy with David Harbour turned out to be a bit of a dud. Shazam! easily hung on to its top spot on the box office chart while Hellboy posted tiny numbers, grossing just $12 million over its first three days in release. The R-rated action horror comedy struggled to find an audience following negative pre-release buzz and rotten reviews. Just 15% of critics gave Hellboy a positive review on Rotten Tomatoes, and audiences were equally unimpressed. Cinemascore has it sitting at a “C” average, according to ticket buyers. Newcomers Little and After exceeded expectations, but the animated family-friendly film Missing Link missed its target. According to Box Office Mojo, Missing Link‘s $5.8 million is the lowest opening for a Laika release. Up next: Shazam! should retain its grip on 1st place over the April 19-21st weekend. It’s only competition will come from the horror film The Curse of La Llorona opening in 3,400 theaters and Penguins from Disneynature. We all have a superhero inside us, it just takes a bit of magic to bring it out. In Billy Batson’s (Asher Angel) case, by shouting out one word—SHAZAM!—this streetwise 14-year-old foster kid can turn into the adult Super Hero Shazam (Zachary Levi), courtesy of an ancient wizard. Still a kid at heart—inside a ripped, godlike body—Shazam revels in this adult version of himself by doing what any teen would do with superpowers: have fun with them! Can he fly? Does he have X-ray vision? Can he shoot lightning out of his hands? Can he skip his social studies test?